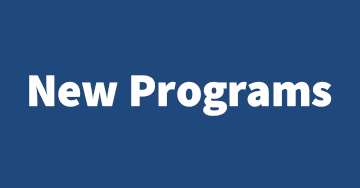 On March 31st, 2019 the WDB received additional questions regarding the Youth Program RFP. Here, you can find the written Q&A. For any questions please contact Chainey Brown at cbrown@solanowdb.org. On March 13, 2019 the WDB held its Youth Program: Career in Focus Bidders’ Conference. Below you will find the questions and answers as a result of the meeting. Please note all written responses are final and supersede any verbal responses given at the meeting. If you have any questions please contact Chainey Brown at cbrown@solanowdb.org. Click here to view the Youth Bidders' Conference Q&A. The WDB is currently seeking proposals from qualified applicants to provide Workforce Innovation and Opportunity Act (WIOA) Youth and Young Adult services to Out-of-School youth. Out-of-School youth (or disconnected youth) - young adults who are between the ages of 16 and 24 who are neither working nor are in school - are an underutilized resource in Solano's economy and community, and additional supports are needed to enable our youth to be successful in future education and employment. Based on findings from Solano's Disconnected Youth Report, the WDB seeks to fund primarily work experience opportunities, coupled with advising and supportive services for our county's youth most in need. Youth within a high-poverty area in Solano County. The Workforce Development Board (WDB) of Solano County seeks passionate, committed staff to work with businesses, job seekers, and stakeholders to support the economic growth and talent development of Solano County. For questions about other Employment Opportunities with the Workforce Development Board, or to obtain an application please contact Human Resources at 707-863-3548 or at hr@solanowdb.org. The WDB is an EO/AA/ADA Employer. Auxiliary aides and services are available upon advanced request to individuals with disabilities. TDD Relay 1-800-735-2922. The Workforce Development Board of Solano County (WDB) is accepting applications to expand the California Statewide Eligible Training Provider List (ETPL) of training providers operating in Solano County. The training programs must be in locally or state defined demand occupations. Training programs must achieve a minimum 70% entered employment rate or higher in the training occupational area within two years of nomination and maintain that rate every year thereafter. Qualified Training Providers will be included on the statewide list and become eligible to receive referrals of individuals eligible for subsidized training under the Workforce Innovation and Opportunity Act (WIOA). It is required that Training Providers be accredited by a State of California accrediting organization before any application will be considered for nomination. If your school is not a public education entity or a facility providing a Department of Apprenticeship Standards (DAS) registered apprenticeship training program (www.dir.ca.gov/das/), then you must also be registered with the California Department of Consumer Affairs’ Bureau of Private Post-Secondary Education (www.bppe.ca.gov). Training Program Expense Detail Sheet (see link below for form) [NO LINK PROVIDED] for each training program. Send the documentation package via email to twhite@solanowdb.org. WDBSC staff will determine the eligibility of each program(s) in accordance with the State of California Directive(s) and our local procedures. Inclusion on the statewide and local ETPL does not guarantee your school or training program will receive referrals from Solano County WIOA clients. Our policy drives for “informed” customer choice when choosing a school and training program. Our participants will choose the school and training program based on their own research and needs to ensure their success. The final decision to award a training scholarship is based on the results of a structured interview with the participant. If you are interested in being added to the ETPL,contact Marion Aiken at maiken@solanowdb.org or call (707) 863-3594.